Scary Pumpkin Face Shirt. Womens Halloween Shirt. Off The Shoulder. Slouchy Halloween Tee. Halloween Costume. Halloween Party Shirt. 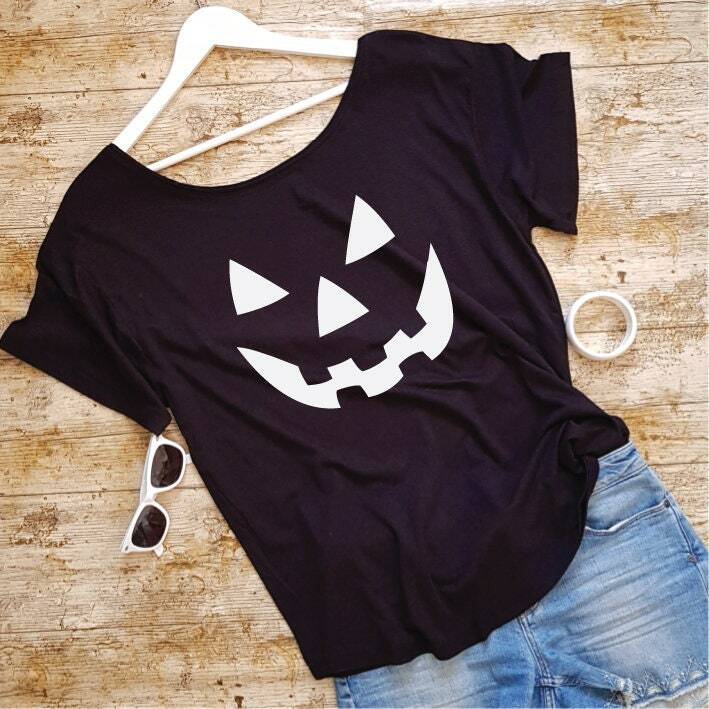 This scary Pumpkin face is the perfect off the shoulder Halloween Shirt and makes a fun outfit for your Halloween Party. This oversized shirt is styled to be worn off the shoulder and makes a fashionable Halloween Costume. 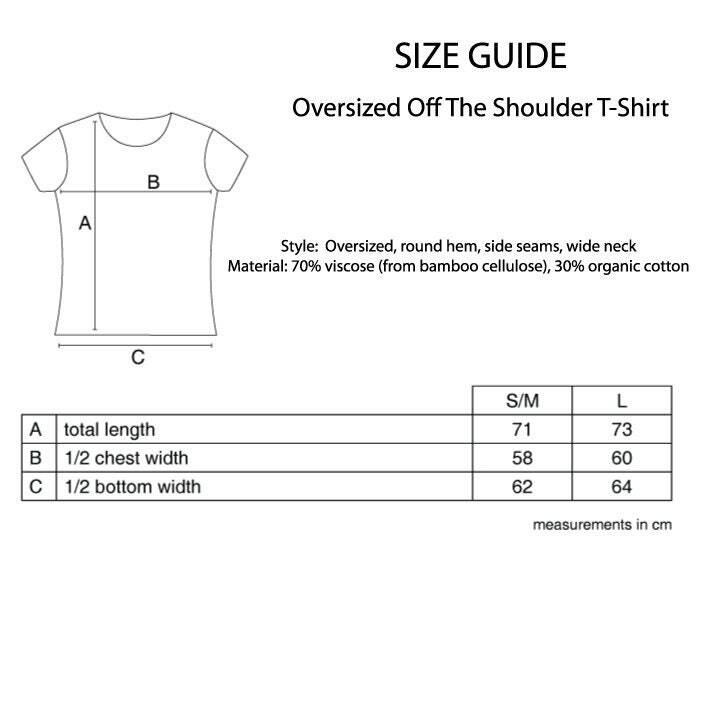 It is made from organic materials, is trendy, stylish and very comfortable to wear and flatters all shapes. 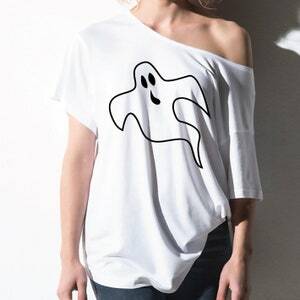 Funny Womens Ghost Shirt. Slouchy Womens Halloween Shirt. Off The Shoulder Halloween Party Tee. Halloween Costume. Spooky Ghost Costume. Cute But Batty Slouchy Halloween Shirt. Womens Halloween Bat Shirt. Off The Shoulder Goth Halloween Party Tee. Bat Lover Shirt. Bat Gift.